Seeds from Afghanistan, Hawaii, Korea and the USA were used to create this triple hybrid. 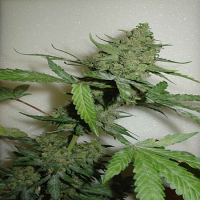 Lavandula Feminized Marijuana Seeds by Expert Seeds: Seeds from Afghanistan, Hawaii, Korea and the USA were used to create this triple hybrid. With its dark purple colouring, Lavender certainly is an exotic-looking plant. The colour is intense with the leaves turning almost black at the end of the plant’s life. 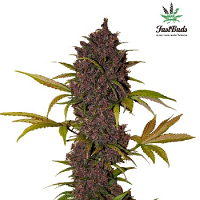 The extra-dense buds give off a spicy odour similar to Afghan Hash. 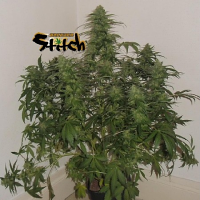 The high calyx to leaf ratio makes this a very easy plant to trim. Although not as high as a Haze, Lavender’s can get very tall on you if you give them a long enough growth cycle before switching to flowering mode. In Sea of Green, we recommend reducing the growth cycle to control height. This strain also thrives in SCROG systems. Lavender smells very much like Afghan Hash and produces an effect that reaches all the chakras. After a horrible afternoon at work or on a rainy day spent indoors, Lavender will leave you feeling relaxed and happy.